A few steps away from Rome’s Via Trionfale you can find the Borghetto San Carlo. A little piece of countryside in North Rome, the Borghetto consists of several farm buildings surrounded by public farmland that the Municipality of Rome entrusted to the Cooperativa Coraggio. Giacomo Lepri is an activist advocating for access to public, non-cultivated farmland, and he is going to tell us the story of the movement that led to the Cooperativa Coraggio. How did the campaign start? ists and ecologists who were talking about ways to boost agriculture and agricultural policies in the city. 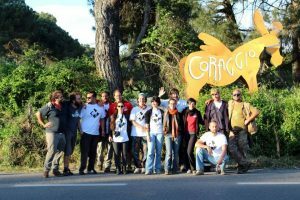 This was the beginning of what is now called “Coordinamento Romano per l’Accesso alla Terra” (Roman Coordination for Access to Land), an action group that proposed the measures now known as the “Roman agricultural safeguard dispute”. We basically suggested the Municipality of Rome to entrust young farmers with all that non-cultivated yet arable land in order to help even out social imbalances and also in order to reuse an abandoned public resource. Moreover, when in 2012 a decree-law allowing for the sale of public resources including land was enacted, we thought we had to prevent this land from being undersold. The recurring themes were the need for income, the search for places that could improve urban living conditions even in the outskirts and the rehabilitation of public resources. Throughout these years we fought in the name of these principles in a multitude of ways: for example, we organized demonstrations, sit-ins and symbolic occupations, but we also wrote letters, we sent official requests, organized meetings and much more. Our movement always enjoyed a broad public because it isn’t members-only. As a matter of fact, the “Dispute” proposed agricultural parks, that is, areas that would be open to private individuals and co-op farmers alike, thus we have been enjoying the support of several other civil organizations. Last but not least, it is thanks to our relentless communication with the Municipality that we managed to have tenders launched regarding the management of these arable lands, and this happened during the Marino administration. What did the Public Administration do? They reacted positively and quite quickly. The tenders have been written in the end of 2014, enabling about a hundred hectares of land to be used in four areas. type of activity, and they are unprepared. They don’t know how to manage this new thing and they left us unprovided with indispensable guidelines and economic tools to start our activity. Besides, due to the end of the Marino administration, the only support given by the Municipality was the continuation of the tenders. We couldn’t manage to reach favorable financial agreements for our projects, as we were a group of young people at their first startup. Talking about the tenders, they were launched in order to create an alternative market, therefore the Muicipality should have also created alternative financial conditions in order to favor our development. But this didn’t happen, and even though all the improvements we were planning are a big advantage for the local administration we didn’t get financial support. It’s funny how more often than not small and young co-ops don’t manage to get the help they need, yet real estate developers enjoy a number of advantages and sometimes even break agreements as they please. Talking about the tenders, what did the Municipality request? The tender provided some sort of reward for young people at their first project. A special focus was set on multifunctionality, therefore the ability to offer a service which would go beyond agricultural production. Tender evaluation was mainly depending on business planning – it had to be very detailed, it had to ensure stability, it had to be agronomically correct. On top of that, special criteria such as age and organic farming were also considered. This has been a negotiated process because we got the Municipality curious about our project: we met several times, and they also invited agricultural sector experts in order to better understand our proposals. We also asked for additional criteria, such as gender balance, but eventually it was not included in the final version. I personally think that the outcome of this negotiation did produce tenders that favor disadvantaged applicants, at least in theory. Have there been evictions here in Borghetto San Carlo? The only eviction was the one involving the shepherd who was illegally occupying the area. This happened before we were given the land, as we won the tender in November, and just before we would sign the contract in May the eviction took place. Sheep and herds are a very popular way to occupy lands – even real estate developers use this trick: for example, the evicted shepherd was here with the connivence of the ex-owner of the area, a real estate developer. This shepherd was a special kind of guy: he owned undeclared firearms and unleashed, ungroomed dogs who wouldn’t let locals access the area. What’s happening with the farmstead? The farmstead is taken hostage by the ex-owner of the area. 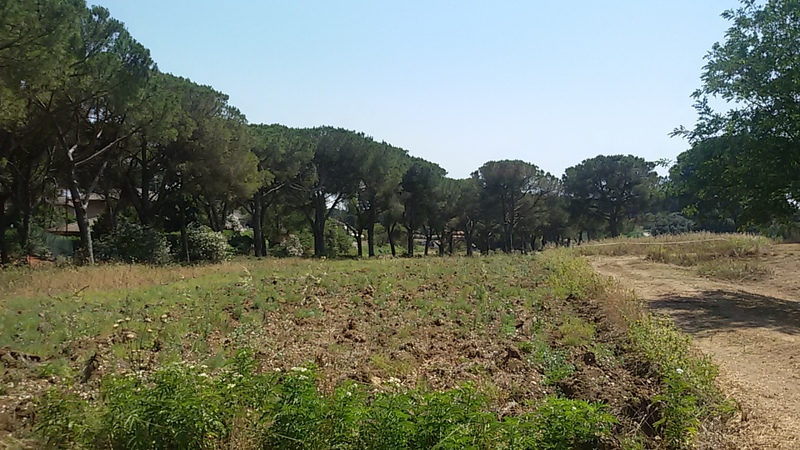 The whole terrain was actually given to the Municipality by Mezzaroma (the ex-owner) in exchange for newer building areas elsewhere, as this plot of land does not qualify as residential zoning anymore since it became Parco di Veio, a protected area functioning as a nature reserve. Mezzaroma managed to get newer plots of land and built a huge residential area called Parco Talenti. 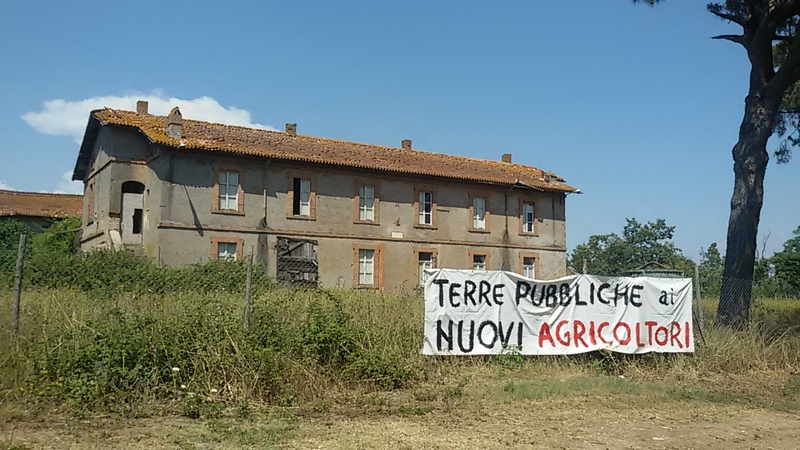 However, the contract Mezzaroma signed with the Municipality implied the ex-owner to use 2 million € for the renovation of the farmstead at their expense until the end of 2013. The deadline was eventually extended until March 2016, yet the farmstead hasn’t been touched and is currently in a dreadful state. Its conditions are so bad that it’s not even accessible, and as stated in the tender we rent two thirds of it from the Municipality, which will also manage the remaining part. Our project is built around the existence and usage of this building: can you imagine doing agriculture without even having a place to store the tools? How would you use this farmstead? Its size is 1400 square meters. We will use it for reception, it will have canteens for locals and for workers, study rooms, labs, meeting rooms and a food processing facility. How is the production going? We have 22 hectares here, and 13 of them are suitable for agriculture. We are now reclaiming the land, as this area has been abandoned for 50 years – it’s a harsh, turfed and uneven terrain full of thorns. It’s very difficult, and we’re working on it day by day. We just planted sorghum and millet, and we also have a vegetable garden that made it through winter without being watered – this is where we planted broad beans, onions, garlic, green peas and red chard. For the summer we planted the only things that can grow without water – potatoes and melon. Last but not least, we have hives for honey! As for water, we don’t have it yet, because the land was given to us abandoned, with some small dumps and without a well. Building a well is a very costly investment. We probed and reached a depth of 120 meters two weeks ago, and found no water. This is a problem because a well is really expensive and we already spent a lot of money. We now have to decide if we want to dig even deeper, probe somewhere else or rather reclaim the neighbor’s well. Working without water is really tough. As for drinking water and other utilities, we won’t get anything until the farmstead is renovated. We weren’t given the place ready to use, yet we are already paying the rent. There’s a lot of contradictions that better be solved in the near future within the next tenders, because it’s OK to be entrusted with the reclamation of a terrain, but in this case the Municipality should not expect us to pay for the rent for at least 5 years, also considering the fact that all improvements we make are a direct advantage for them. How do you fund your co-op? Where do the investments come from? We accumulated a small fund via all the activities we brought forth during these past years, such as gardening, catering and teaching, but this fund is almost over now because we have a lot of expenses: the tractor, gasoline, vouchers for the workers and so on. We are considering taking out a loan. Even though we are looking for a zero/minimum interest rate, it will still be a loan that will be on our back for the years to follow. It is a really big responsibility because this 130.000€ loan will also have to face the constant uncertainty of the farmstead renovation, which is crucial for the success of our project. As a matter of fact, we wouldn’t be able to make ends meet only with agriculture. If we can’t create side activities to cover at least 40% of our income we surely won’t reach our 30 wages goal. At this very moment we can’t manage to get by and we’re trying to self-fund ourselves as much as possible, many of us are struggling to maintain their part-time day jobs. How do you use your products ? The products coming from the winter garden are being sold directly. We have a good communication system so we manage to have everything sold right away. We are up to produce blackberry jam, lupine beans in brine and hummus while waiting for the melons, potatoes and honey. Our goal goes beyond agricultural production. We want to bring people to the park. Some locals are starting to come already, but we want this to become a place for everyone to enjoy, in which to make several outdoor activities while we continue to produce. We can use 13 out of 22 hectares for orchards, cereal production and vegetable gardens. Once the farmstead will be available we will also process some of the products there. Which activities will be open for everyone? We are organizing urban vegetable gardens to be used by the people of this district. Together with an ngo called Terra! we have already completed subscriptions to cover an area of 1800 square meters with vegetable gardens, and meantime we are also planning a bike path to go through the park, one picnic area which should be available by next spring and we would also like to start educational farms, but we won’t be able to do that until the farmstead is ready to use. However, we already managed to organize smaller activities, such as a workshop for building clay ovens, seminars about environmental issues and farming (in partnership with the University), several initiatives aiming at bringing agriculture closer to the youth and of course we did have an opening party with concert and food. Our number one priority is developing the project and using all of its potential – in order to do this we need local authorities to work on infrastructure. We have not received any help nor fund for agriculture. We hope we will be able to make this work by making all institutions work together and understand that everyone is involved in the success of this project. Without cooperation and support everything will only slow down. But our co-op name is Coraggio, courage. And we’re very determined. 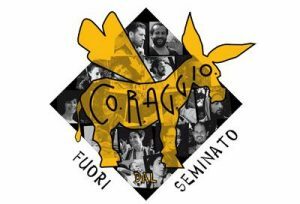 If you would like to support the Coraggio Cooperative take a look at their services that range from catering to delivery of local products and educational trainings! 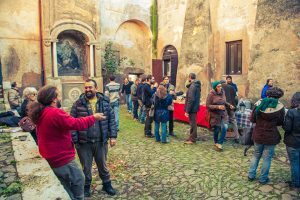 Community, Economy, Environment, Rome , agriculture, cooperative, education, farming, food, heritage, migration, podcast, social inclusion, work.